Fontainebleau (France), Singapore and Abu Dhabi, November 22nd, 2013 — INSEAD Dean and economist Ilian Mihov delivered a keynote lecture on “Emerging Markets: Trends, Risks and Opportunities” at a summit in Luxembourg on November 20th , 2013, organised by the INSEAD Alumni Association Luxembourg in collaboration with the Association Luxembourgeoise des Ingénieurs (the Luxembourg Engineering Society)and the Luxembourg Chamber of Commerce. The event was part of a daylong visit with alumni, media, business leaders and government officials. Dean Mihov, the Novartis Chaired Professor of Management and Environment, shared his market insights during an evening conference, hosted at the Chamber of Commerce. The lecture was intended to engage alumni and members of Luxembourg’s business community and government. Following the keynote, Mihov joined alumni for a private dinner. Mihov’s visit underscores INSEAD’s longstanding relationship with Luxembourg, a small country but one with many businesses and an international reach. During his visit, the Dean met with Luxembourg public and private stakeholders. Also participating were Yves Elsen MBA ’84J/IDP ‘13, President of the Association Luxembourgeoise des Ingénieurs, and Marc Molitor MBA ’01J, President of the INSEAD Alumni Association Luxembourg. International Directors Programme (IDP). 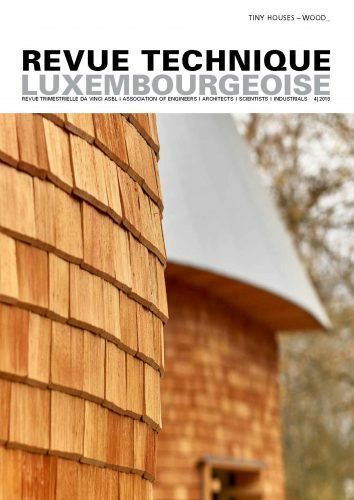 This is a unique educational experience created in partnership with the Luxembourg Institute of Directors (ILA), PwC and Russell Reynolds Associates. The IDP format is a three-module short-duration course delivered over several months. The programme is designed to provide cutting-edge knowledge that creates more effective directors for global business. INSEAD faculty involved in the programme include top governance experts, such as Ludo Van der Heyden, the Mubadala Chaired Professor in Corporate Governance and Strategy and Academic Director of INSEAD’s Corporate Governance Initiative. The thriving partnership that inspired the IDP is especially valuable since Luxembourg is instrumental in managing the majority of Europe’s financial business. When ILA was seeking to build a relationship with a top business institute, it turned to INSEAD because of the school’s global reputation, presence and expertise. Several senior ILA administrators have themselves completed the INSEAD governance programme. The November 20 lecture by Dean Mihov was intended both to build on the school’s activity in the region as well as advance discourse about emerging markets as an important driver in today’s global economy. “The rapid ascent of several Asian economies and other emerging markets has raised questions about the sustainability of growth in those countries,” said Mihov, Dean of INSEAD and a Princeton-trained economist whose expertise includes monetary and fiscal policy. His talk explored emerging markets from a research-based framework, analysing a range of risk factors to consider whether growth in these countries is likely to continue, or else revert to more disappointing historical trend-lines. The author of numerous scholarly articles, including four with mentor and U.S. Federal Reserve Chairman Ben Bernanke, Mihov has said that long-term global economic shifts look to favour emerging nations, but that the U.S. and Western Europe remain dominant today, representing a combined 50% of global GDP—down from about 60% in 1980. That figure is expected to dip by 2015, but only to 47%. Mihov’s talk explored emerging markets from a research-based framework, analysing many risk factors to consider whether growth in these countries is likely to continue or else revert to more disappointing historical trend-lines. Attendees gained fresh knowledge, including whether China and India will falter in their progress or continue to grow, ultimately reaching the economic level of the U.S. and Western Europe. The INSEAD Dean also considered the potential future of other emerging economies, such as Vietnam, Indonesia, Turkey and Nigeria. He presented data to help determine whether these markets are undergoing a permanent shift or merely experiencing transitory growth that may be derailed by rising inflation, trade wars or a currency crisis. The discussion included consideration of how Luxembourg may be impacted by these global developments. Professor Mihov was appointed Dean of INSEAD on Oct. 1, 2013. Prior to this, he was Deputy Dean for Faculty and Research since 2011, responsible for recruiting new faculty and for developing more than 140 current professors at INSEAD. He joined INSEAD in 1996 and has taught macroeconomics and econometrics in the MBA, EMBA, PhD and executive education curriculum, earning the school’s Outstanding Teacher Award three times. As one of the world’s leading and largest graduate business schools, INSEAD brings together people, cultures and ideas to change lives and to transform organisations. A global perspective and cultural diversity are reflected in all aspects of our research and teaching. With campuses in Europe (France), Asia (Singapore) and Abu Dhabi, INSEAD’s business education and research spans three continents. Our 146 renowned Faculty members from 34 countries inspire more than 1,300 degree participants annually in our MBA, Executive MBA, specialised master’s degrees (Master in Finance, Executive Master in Consulting and Coaching for Change) and PhD programmes. In addition, more than 12,000 executives participate in INSEAD’s executive education programmes each year. In addition to INSEAD’s programmes on our three campuses, INSEAD participates in academic partnerships with the Wharton School of the University of Pennsylvania (Philadelphia & San Francisco); the Kellogg School of Management at Northwestern University near Chicago, and Johns Hopkins University/SAIS in Washington DC. In Asia, INSEAD partners with Tsinghua University in Beijing and with CEIBS. INSEAD is a founding member in the multidisciplinary Sorbonne University created in 2012, and also partners with Fundação Dom Cabral in Brazil.